There has been much controversy over the years on mediums, witches, psychics and fake psychics charging for their work. Some people believe that psychics should offer a donation scale in order to be paid while others think that psychics should never charge for any spiritual work they may do. Some people believe that because these gifts are a just that a gift, from God then these people have no reason to ever charge for something God has blessed them with. ‘Why charge for something God has done?’ they ask, offended at the mere thought of someone making a profit as a psychic. Some people automatically assume that if someone is charging for readings then they are nothing more than a fake psychic trying to steal money out of the pockets of the gullible. Here are the more common fake psychic scams and how to avoid them. 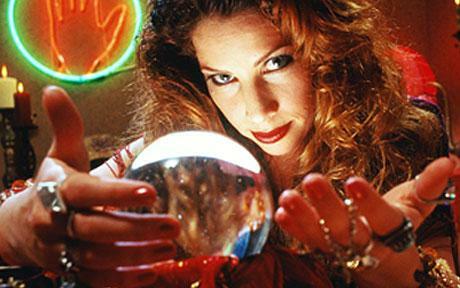 Psychic Says You Are Cursed – Some of these fake psychics will tell you you are cursed and need to be cleansed. They will lead you on and make you believe that something isn’t going right for you or won’t be go right for you in the future if you don’t get rid of this curse. Some people will offer fake proof that you are cursed only to offer you a cleansing ritual or a ‘blessing’ from them which can cost hundreds of dollars. You Need Continual Work and Readings – Some fake psychics will lie to you and say that you have this problem, or if you want true happiness then you must see them x many times before you will once again have an happy life. This is another scam as you are expected to pay multiple session cost and fees to make them more money. They will string you along and along until you are penniless and still unhappy. You Need to Offer Money – Another common scam is the ‘more you give’ scam. Basically they will offer you a blessing and say something along the lines of they more you pay the more you will be blessed with. So if you pay $500 or $5000 you will receive according to what you give. They continually misrepresent faith and almost force gullible people into believing that their faith has a physical cost phentermine. These fake psychics will stop at nothing to rip your money out of you pockets and use threatening techniques, harassment and bullying to coerce innocent people into buying more from them. It is my honest belief that their are real psychics who exist in this world, but it is hard for me to believe any real psychic would use so much negative energies and karma to rip people off. Please be aware of fake psychics!